I’m back with another update to let you see how i’m getting on now i’m well beyond the 1 year point. Ok so here’s some dry pics and some wet ones with my hair brushed back. Nice results, great donor hair too, my donor is crap. I just realised the title of this thread should say “14 month update” not 15 but I can’t change it now. As my hair gets longer it gets better looking and now that I’m well past the one year point my HT hair has smoothed and straightened out now. I forget what I used to look like before and seeing my before pics again for the first time in ages really was weird! The feeling I used to have every day when I looked in the mirror each morning and saw my huge forehead is a feeling I have not had in what feels like forever. » the first time in ages really was weird! I know what you mean. My first hair transplant was over 2.5 years ago with Dr. Armani, and you really do tend to forget what it was like to worry and not be happy with you hair. Slowly, having a nice head of hair becomes the norm. How come the back is thin in the nape area, is that normal? Yes that’s just the way my neck hair is. Most people have this “bum fluff” hair (as it’s called where I live) shaved up a bit and a nice neat line across trimmed in when they get their hair cut but I cut my own hair and can never get a straight line at the back of my neck so I just leave it unless I happen to remember when a friend is over. Nice result, your original hair is pretty much where I’m at now. So these pictures are kind of encouraging. I just have a few questions. What age are you, were you on any meds before/after the procedure? Are you worried about future loss? i didnt notice at first but your hairline has been lowered quite a bit , makes the results all the more remarkable considering the amount of grafts used. 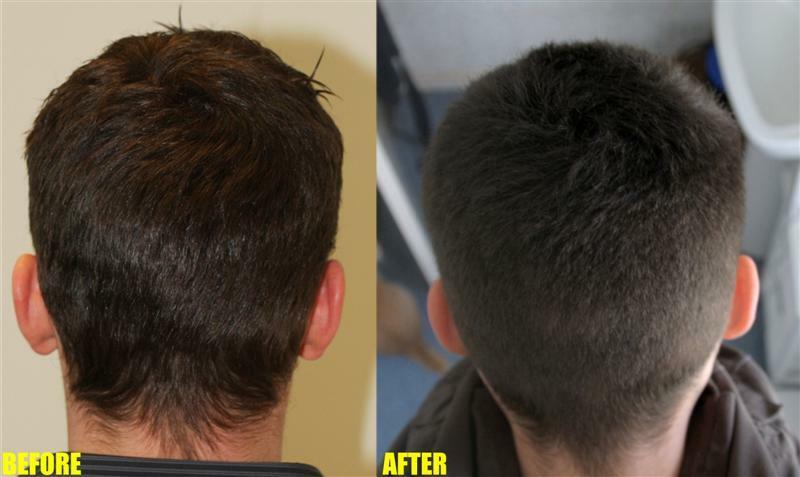 Yes Hairwego has his hairline lowered, the entire hairline was created by Dr. Sara using all transplanted grafts. This guy was probably mid-20s, he walked into the clinic with a NW#2.5-ish starting condition, and they basically used up half his lifetime donor supply. But I must admit the work itself looks very nice. The overall head of hair created looks totally natural. You can tell he’s got lost of styling options too, which is the sign of some true density.